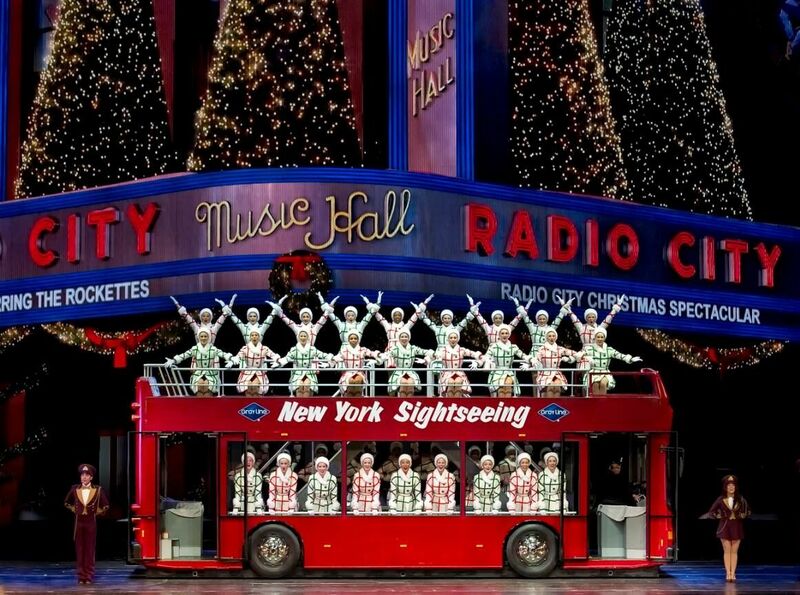 Between the holiday hustle and the big city bustle, make time for joy with your loved ones at the Christmas Spectacular Starring the Radio City Rockettes™ presented by Chase. 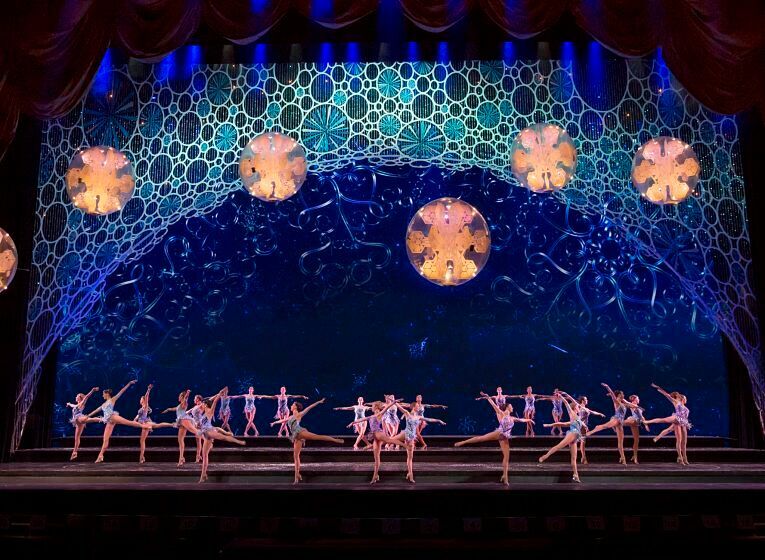 In the splendor of Radio City Music Hall, share joy, laughter, and lasting memories, as you take in the legendary precision and grace of the world's most iconic dance company. 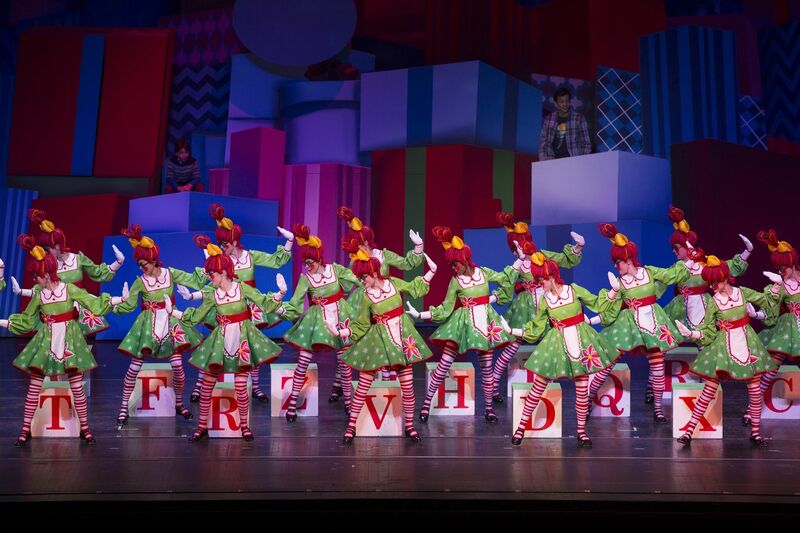 The Christmas Spectacular is sure to become an unforgettable part of your family's Christmas tradition, while keeping the magic of the holiday spirit alive for kids and adults alike. 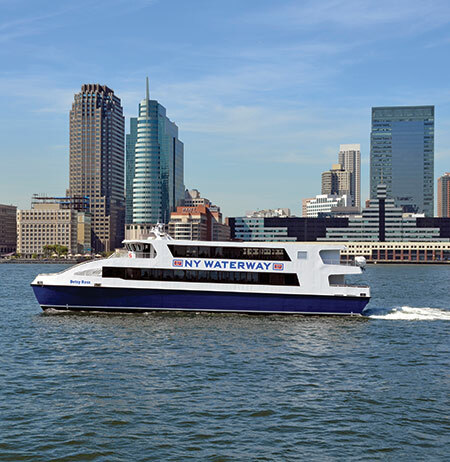 To redeem your FREE round trip ferry tickets present your Ticketmaster voucher to the ticket agent at Port Imperial/Weehawken terminal. 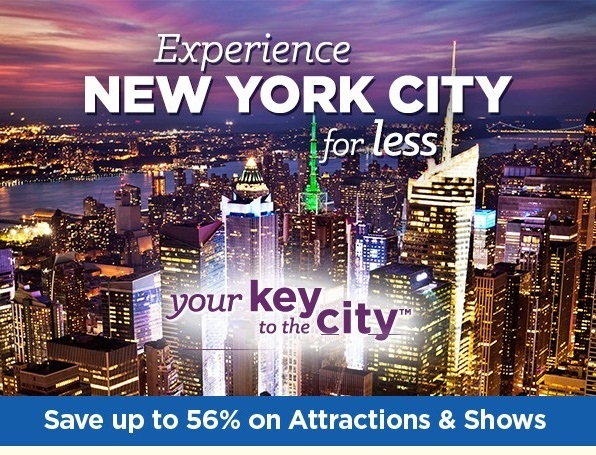 *Must use code NYW to take advantage of the offer. 8 ticket max per order. 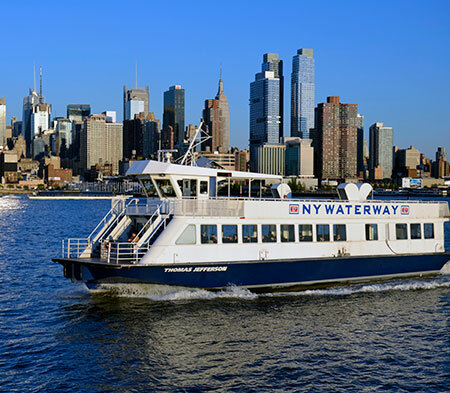 Must present Ticketmaster voucher to redeem NY Waterway Ferry tickets at Weehawken’s Port Imperial Terminal Ticket Window only. 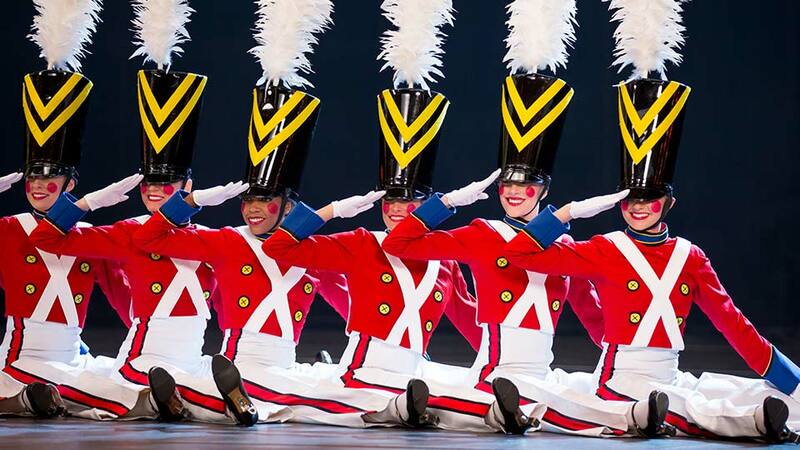 This offer is valid on select seats to select performances from now to January 6, 2019. Offer expires 12/23/18. 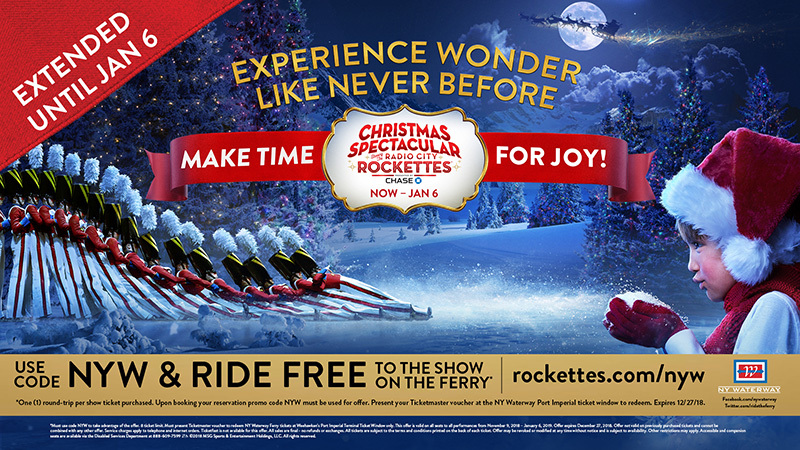 Offer not valid on previously purchased tickets and cannot be combined with any other offer. Service charges apply to telephone and internet orders. Ticketfast is not available for this offer. 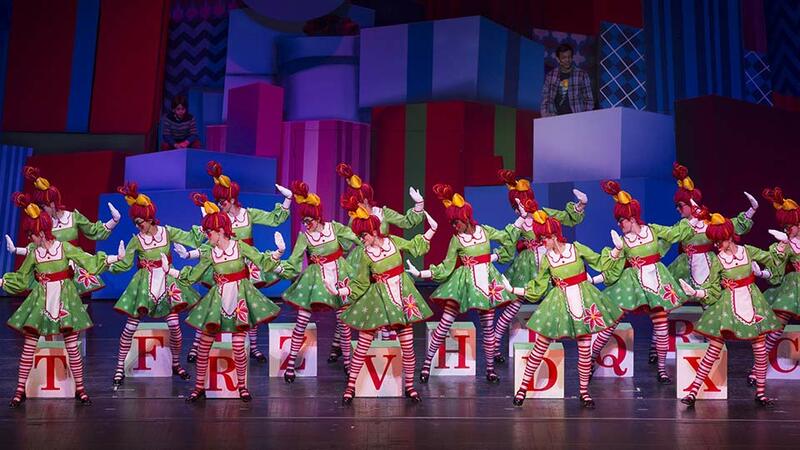 All sales are final - no refunds or exchanges. All tickets are subject to the terms and conditions printed on the back of each ticket. Offer may be revoked or modified at any time without notice and is subject to availability. Other restrictions may apply. 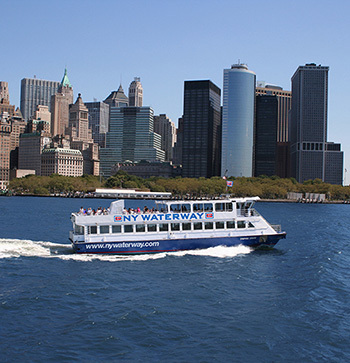 Accessible and companion seats are available via the Disabled Services Department at 212-465-6115. ©20178MSG Sports & Entertainment, LLC. All rights reserved.